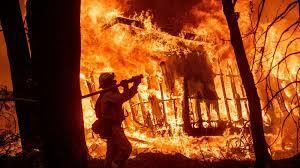 As of November 18, 2018 at 7:10 AM the Camp Fire is officially 149,500 acres is 60% contained and has destroyed nearly 10,000 homes. ending anytime soon. Smoke masks are now very difficult to find. Fortunately here in Arnold the air is very clear.